32X Knuckles' Chaotix (JPN/USA) in 35:07.7 by Upthorn. 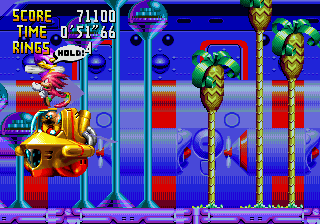 Knuckles' Chaotix is a Sonic game that doesn't feature Sonic. The story follows Knuckles the Echidna as he tries to save his friends from Dr. Robotnik, one at a time, by tying an elastic band of "ring energy" between himself and each of them. 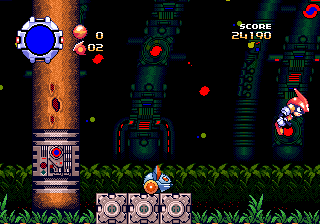 The gameplay is similar to that of earlier Sonic games, and after each stage, the next level is selected via roulette. These roulettes and the game's cutscenes comprise about 66% of the total movie length, so we recommend skipping through them. In the site's first 32X publication, Upthorn uses a number of glitches (of which the most prominent is zipping through walls) to complete most of the levels tens of seconds faster than intended. GBA X2: Wolverine's Revenge (USA) in 13:57.28 by nitsuja. 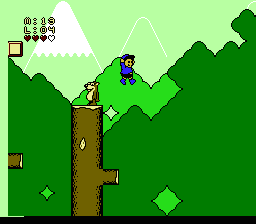 Unlike the other versions of this game, this version of X2: Wolverine's Revenge is a side-scrolling platformer. Wolverine mostly uses his most powerful weapon, the adamantium claws, to strike enemies. With the claws unsheathed, he can enter an even more devastating "Rage Mode" when the player repeatedly taps a button. 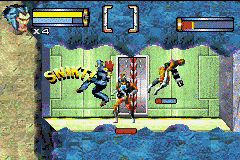 The game also features stealth segments in which Wolverine can sneak up on enemies and use a special stealth attack to silently and instantly take them out. In this run, nitsuja slashes and dashes around the Weapon X Facility and manages to rid Wolverine's body of the Shiva Virus in just 14 minutes. 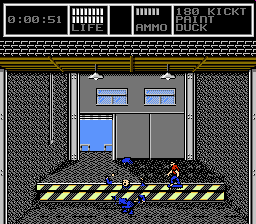 For a movie of a similar game, see the run of Wolverine's Rage. GBC Déjà Vu I & II: The Casebooks of Ace Harding (USA/Europe) "Case Book 2" in 10:05.0 by Randil. 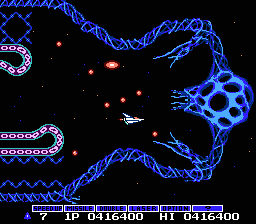 This is a TAS of the game Deja Vu 2, the sequel to the popular Deja Vu for NES. This time, however, you do remember who you are, and you also remember that you owe some mobster a lot of money. The goal in the game, however, is not to get the money - instead you're supposed to frame the mobsters. You do this by planting certain items in desks and stuff like that. Overall, this movie is a lot like the other storybook TAS: super-fast menu navigation, a lot of route planning, and the general feeling of "What in the world is going on in this movie?" GBC Pokémon: Gold Version (USA/Europe) in 2:54:27.15 by FractalFusion. Pokémon Gold and Silver form the second generation of Pokémon, after Pokémon Red and Blue. The main differences between the generations is that the game is now in full color, and that there are 250 Pokémon instead of 151. This movie plays through Pokémon Gold in a fairly fast manner, catching only a half dozen Pokémon in the process, but acquiring all the gym badges, and ultimately beating the protagonist of the previous generation of Pokémon games. The author of this movie, FractalFusion, has written very extensive details of anything regarding this movie, including even some of the mathematical formulas used by the game. As usual, we recommend reading these comments. This movie requires VBA1.7.2 v17 to synchronize. See the submission text for details. Genesis Phantasy Star III: Generations of Doom (USA) in 1:37:55.98 by Acmlm. 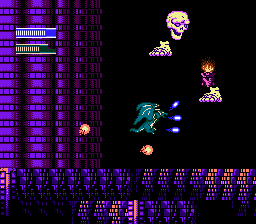 Phantasy Star III is often considered to be the black sheep of the series, but is still a unique RPG on its own, featuring 3 generations and multiple paths through the game. However, this run breaks the plot halfway through by glitching past the second generation quickly. Like in other RPG runs, luck has been manipulated for many things. 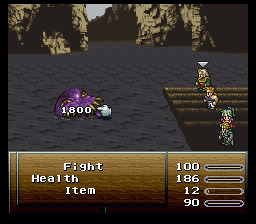 Although random encounters can't be completely avoided, no damage is ever taken except from bosses, and most of the leveling is done in a final rush. Read the author's comments for more details on luck manipulation and the path taken through the game. Genesis Pulseman (JPN) in 25:16.02 by TwistedEye. The graphics, music, sounds, controls are all absolutely phenomenal with interesting characters, gorgeous trippy backgrounds, and tough-but-not-too-tough bosses and puzzles. I'm very confident in saying that it's one of the best games you've probably never heard of. 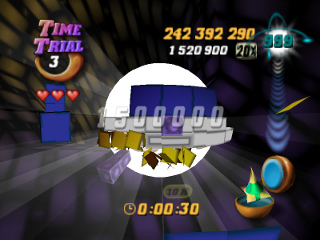 This run uses glitches that allow moving screenfulls at a time through obstacles and walls. Genesis Shadow Dancer: The Secret of Shinobi (World) in 12:52.82 by trazz. A lesser-known entry in the Shinobi series, the game still holds its own. As always, ninjas rescue their hostages with style, and celebrate victories against bosses with a suicidal plunge off the nearest skyscraper. Genesis Wonder Boy in Monster World (USA/Europe) in 42:10.45 by Aqfaq. This movie is about Wonder Boy fighting against (or running past) a horde of cute monsters. The Oasis Boots that are normally required to cross the desert were not used in this movie, because it was slightly faster to go without them. In Japan, the game is known as Wonder Boy V: Monster World III. N64 Tetrisphere (USA) in 07:00.0 by Acmlm. Supposedly, the goal in each level is to smash Tetris blocks into a sphere until the core is exposed, which ends the level. Along the way, the player racks up points from various block-breaking combos. NES Dragon Fighter (USA) in 12:15.28 by nitsuja. Dragon Fighter is a cross-over between a platformer and a shooter. It starts out in platform mode, where you can collect dragon points. 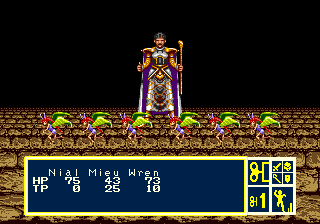 When you have enough, you can transform into a powerful dragon, turning the game into a autoscrolling shooter. The game scrolls slowly in this mode, but the dragon moves fast. By continuously switching between the two modes, it allows the player to go as fast as possible, which makes an otherwise boring game interesting. NES Dragon Warrior II (USA) in 46:25.0 by TheAxeMan. 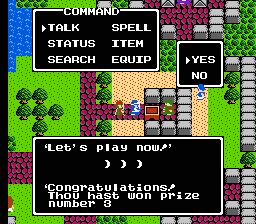 The second Dragon Warrior game beaten as fast as possible. Dragon Warrior is an epic RPG series which now spans 8 games across many systems. 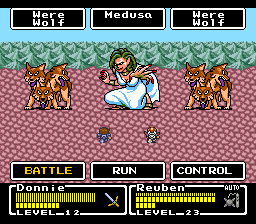 The second game greatly expands on the first to include a party of three heroes (all descendents of Erdrick and the hero of DW1) and battles that may include many enemies. The world is much bigger and there are many big dungeons to explore as well. Luckily there are new abilities and items to make this easier. Enemies can randomly drop items when defeated and there is a lottery which is the precursor to the casinos which appear in each later DW game. Finally, you might notice that many of the enemies in this game appear in later games, particularly DW8. 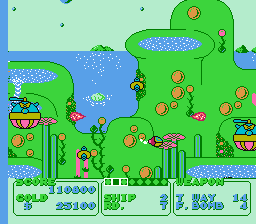 NES Fantasy Zone (JPN) in 04:07.07 by Hisatoki. Fantasy Zone is a short, colorful arcade port which somewhat uniquely is a shooter that does not autoscroll! Since there are no levels to scroll through, the boss battles start when eight of the enemy bases have been destroyed. 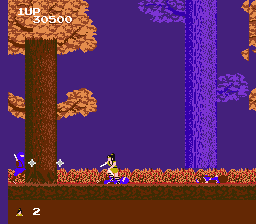 In this run, Hisatoki manipulates luck and buys and uses better weapons in order to finish this game as fast as possible. NES Gradius (JPN) in 10:52.35 by adelikat. In this run, adelikat picks up maximum speed upgrades and has fun with perfect reflexes, much like the previous movie. That is certainly something nice to do, because the game scrolls automatically and the player cannot affect the speed. However, the point of this movie is not just to beat this game as fast as possible, but rather to do all kinds of unpredictable and awe-inspiring things rarely seen in any TAS — without losing time. See for yourself. This is probably one of the best illustrations on how to create art out of a simplistic and otherwise uninteresting game to watch. What is also different about this movie is an extra warp which significantly shortens the game, and the use of a new tool (input macro) as described in the submission text. Bots are occasionally used to generate pseudorandom input while still avoiding death. Also be sure to check out this movie being played back on an actual NES. NES M.C. Kids (USA) "all levels" in 26:25.12 by Brushy. This M.C. Kids movie is different from the other one in that it completes all the levels in the game, not just the required ones. This run is 56 seconds faster than the previous version by a different author. 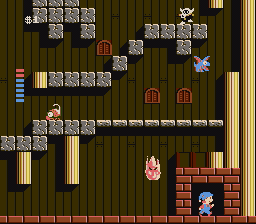 NES Milon's Secret Castle (JPN) in 05:28.43 by Hisatoki. The title of this game is very appropriate, as wherever you look there are walls you can break through, or invisible blocks you can make appear. In order to complete this game as fast as possible, every little secret must be known ahead of time, and the author clearly exhibits such knowledge. This movie was made with the Japanese version, 迷宮組曲 (Meikyuu Kumikyoku, meaning labyrinth composition), but it is essentially identical to the English version, except for the shop/intro text language. It is about two minutes faster than the previous version, mostly due to much faster boss fights and more precise maneuvers. NES Monopoly (USA) "4 cpus" in 01:07.67 by FractalFusion. While the CPUs were distracted, FractalFusion changed the dice on them and then left the board for a few minutes. When he came back, all the CPUs were crying. The fraud squad is still investigating. This movie aims to defeat 4 CPU controlled players, ceasing to press buttons on the controller after as little time as possible. Luck is manipulated for the first 1:08, and then the CPUs are left to lose by themselves without requiring any further actions by the player. 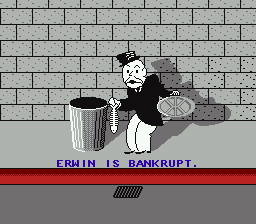 NES Monopoly (USA) in 00:30.03 by Acmlm. This movie aims for the fastest time to get the CPU player bankrupt, and abuses luck to its fullest to make that happen. After a few turns of Monopoly war in the submissions, this version won out. It utilizes the same strategy from the previous one, but several seconds have been shaved by reverse engineering the random number generator and a brute force computer search to achieve the desired randomization with the least possible delay. Details can be found in the submission comments. Under assumption of pure randomness, the odds of reproducing this dice and card sequence on a console is 1 in a few (North American) trillions (22 568 879 259 648, divided by the few slight variations that could work). 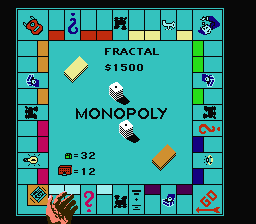 FractalFusion has produced an alternate superplay of Monopoly that is 3 seconds faster, but controversial. It has been cancelled. 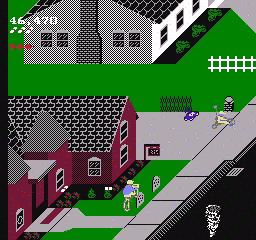 NES Paperboy (USA) in 11:30.78 by Randil. For more details, see the submission comments. The torrent file was replaced shortly after publishing because of error in file naming, and download statistics (256 complete downloads) were reset. NES Prince of Persia (USA) in 16:27.82 by SprintGod. Tackling the crazy architecture of ancient Persia in record time, Gavin Ward improves his previous movie by just a few seconds. This movie makes the "Prince of Persia" look like a gymnastic winner. NES Skate or Die 2: The Search for Double Trouble (USA) in 10:28.37 by JXQ. 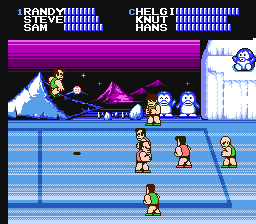 Skate or Die 2 is an NES game infamous for its unresponsive controls and other obvious problems. Luckily, bad programming can work to one's advantage in a project like this. Luck manipulation is also a big part of getting through this game quickly. NES Splatterhouse: Wanpaku Graffiti (JPN) in 16:56.97 by Diman. Splatterhouse: Wanpaku Graffiti looks like a parody of the other more serious Splatterhouse games. 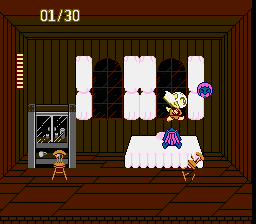 Armed with a big meat cleaver, you fight various bizarre creatures such as a purple woman's severed head, spiders bursting out of a woman's gut, and Synchronized Dancing Dracula and Zombies (TM). This movie by Diman tries to do something interesting during the waiting times. NES Super Dodge Ball (USA) in 05:47.73 by Dasrik. This game takes dodge ball to the extreme! In this movie the author constantly tortures helpless CPU players with "power shots", sending them to fly around the world (actually, just the screen) and letting them just barely get back on their feet. NES Teenage Mutant Ninja Turtles II: The Arcade Game (USA) "1 player" in 27:03.42 by Baxter. 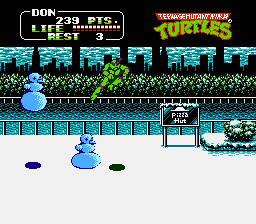 TMNT2 is a classic beat-em-up game with 4 classic main characters: Raphael, Leonardo, Michelangelo and Donatello. The latter is the only turtle used in this movie. This movie is Baxter's new and improved version, which is an astounding 4 minutes faster than his previous version. 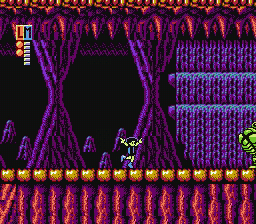 Donatello has learned the secret ninja art of teleportation and... no, actually, a glitch that enables the player to move around extremely fast is used to hit all the enemies as soon as they come on screen. But most of the improvement comes from outstanding luck manipulation. NES The Legend of Kage (JPN) in 05:36.97 by Bisqwit. Kage no Densetsu (影の伝説) is a story based in old Japan. The beautiful princess Kiri has been kidnapped by evil ninjas. Many samurai warriors were sent to rescue her. None ever returned. 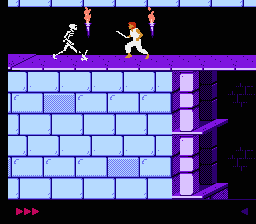 The player is Kage, a young ninja who goes to rescue the princess Kiri. Speedrunwise, this game is all about luck manipulation. Like any good ninja game, it hides many secrets inside, and the player (Bisqwit) set out to discover every one of them that is important in making a TAS. A detailed story of those secrets can be found in the submission message, but in conclusion it lead into this 28-second speedup compared to the previous movie by Walker Boh. NES Totally Rad (USA) in 12:07.57 by Bag of Magic Food. Totally Rad, also known as Magic John in Japan, regales the odd story of a boy who learns to use magic from a magician. Shady storyline aside, this movie displays many speedy techniques using the protagonist's magical transformations. For a much more detailed and whimsical description of all that happens in this publication, Bag of Magic Food's submission text is not one to be missed. NES Whomp ‛Em (USA) in 11:39.45 by adelikat. 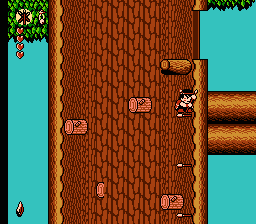 Whomp ‛Em is a somewhat lesser known action-packed platforming game. Although it may not seem like it, this game is somewhat similar to Mega Man in idea. There are multiple stages you can visit in any order and you gain new abilities from winning each level. Like Mega Man games, the new abilities include platform generating items which the author uses to create many shortcuts. SNES Final Fantasy Mystic Quest (USA) in 1:49:20.0 by DonamerDragon. Final Fantasy Mystic Quest is a short RPG game that is very different from the Final Fantasy games that came before and after it. This is the third TAS movie of this game, now 8 minutes faster than the previous run by the same author. We recommend reading the author's comments for information about this run. SNES Final Fantasy VI (USA v1.1) in 4:05:52.87 by Erokky. Final Fantasy VI (renamed to Final Fantasy III in North-American publication) is arguably the most famous RPG on the SNES console. 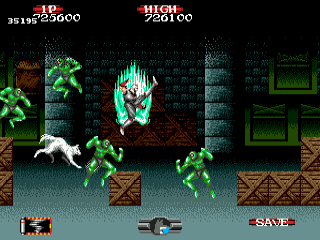 This movie plays through the game in little over 4 hours by the means of advanced analysis of the game engine, and the abuse of certain game errors/features that give the ability to one-hit-knock-out even the strongest enemies ― most prominently (but not only) the Joker Doom lore from Setzer’s slot machine. A glitch involving Relm’s sketch ability was not used in this run. That glitch cannot be performed on this version of the ROM. There is another run using this glitch on the 1.0 version of the ROM. The boss battles, including the last boss, might be somewhat anticlimactic in this movie due to the unusual attack technique, but besides being a very nice timeattack/TAS record, the movie is a nice trip down the memory lane for those who have played this game, and a graphically and especially musically pleasing experience for even those who haven't. This movie was made with the English-language version. We recommend reading the author’s comments regarding this movie. SNES Kendo Rage (USA) in 10:19.8 by Ferret Warlord. This is an anime style platformer starring an American girl named Jo who has gone to Japan to attend a summer kendo school. In order to get to class on time, she has to fight off a barrage of monsters along the way. The author, Ferret Warlord, slashes his way through this game in a little over 10 minutes. SNES Star Ocean (JPN) in 1:53:13.43 by fuzi2. 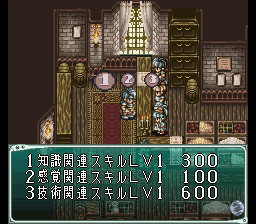 Tri-Ace's Star Ocean 1 is an RPG game similar to Namco's Tales of Phantasia or Square's Final Fantasy VI. Because it was only released in Japan, and the first (almost) complete fan translation of the game was finished only a few years ago, this game isn't well known in western countries. Moreover, it has only been supported by SNES emulators for a short time, due to a graphics compression chip used in the game to fit the huge amount of beautiful graphics into the 6 MB ROM chip. This is a tool-assisted speedrun of the Japanese version (the rules of the TASvideos site forbid the use of fan-translations when making speedruns). For a guide of the strategy used in this run, please read the author's comments. As usual with RPG runs, we recommend everyone to first play through this game before watching the movie. It will normally take a few days to complete the game once ― a few months to uncover all the features: secret characters and abilities and items. Beware, it's fun, and addictive. SNES Super Smash T.V. (USA) in 28:48.68 by JXQ. 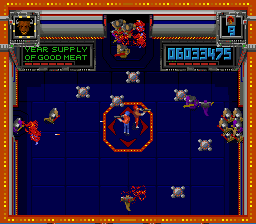 In the future (and by future, we mean 1999), game shows take on a whole new meaning. Mostly it involves using heavy artillery. 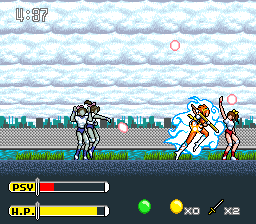 This run is played in two-player mode with the author controlling both characters. It aims for showing off and being entertaining while still being reasonably fast. A code is used to access the highest difficulty level. 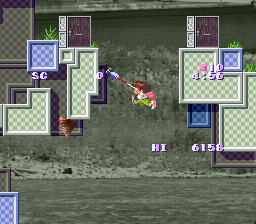 SNES Umihara Kawase (JPN) in 01:46.42 by flagitious. This little-known Japanese wire-action platformer, with a very well-made rubber wire physics simulating engine, sports a schoolgirl setting out to rid the world of giant mutant fish. The game is very easy to win, but very difficult to play (try it). This video demonstrates one of the fastest paths to the ending, including quite a few almost impossible maneuvers ― whether playing tool-assisted or not. This video is a 7 seconds improvement to the previous version. See the Umihara Kawase page for more information about this game, and the author's comments for more information about this movie.